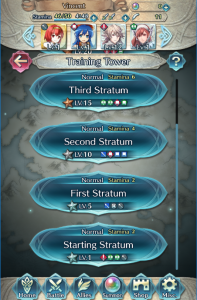 The Training Tower is a location accessible via the world map (Battle menu) where you can train your Heroes to make them stronger. It is available after completing Chapter 1 of the main story. The tower is divided into 11 stages, known as “stratum”. 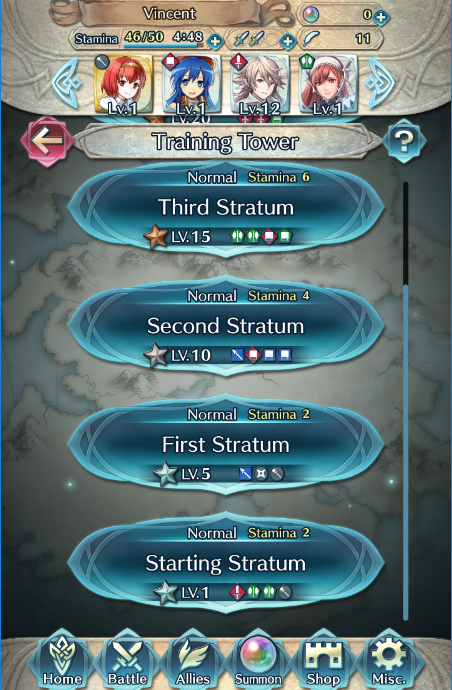 in general, the higher the stratum, the stronger the enemies (and the more experience points). Each time you enter the Training Tower, the maps and enemies vary slightly. 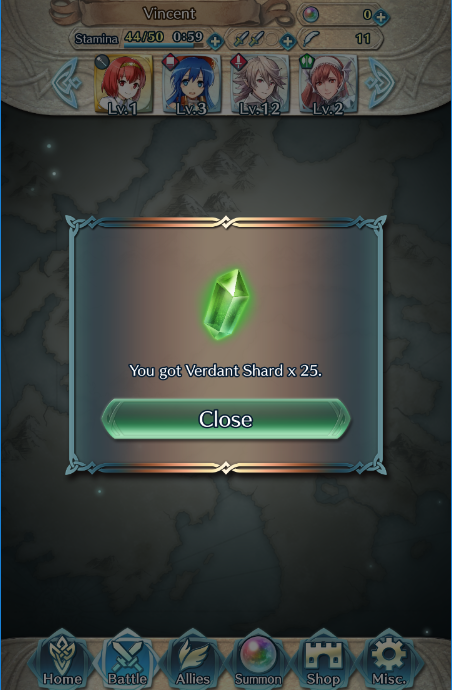 Note: To gain experience points, your Hero must survive the battle. 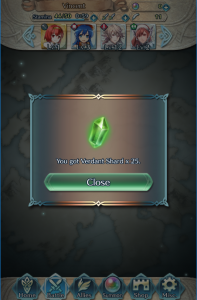 Once per day, starting from 7:00 AM and ending 6:59 AM the following day, after clearing a stratum, you will receive multiple Shard or Crystal items, which can be used to level up Heroes outside of battle. The colour of the Shard or Crystal depends on the day of the week. Furthermore, each time you clear a stratum, you may receive a Badge item (or multiple), which can help increase a Hero’s rarity. Likewise, the colour of the Badge depends on the day of the week.